The 4th Annual HTX BIKE FEST is an all day festival taking place September 17, 2016 at Market Square Park in Downtown Houston. 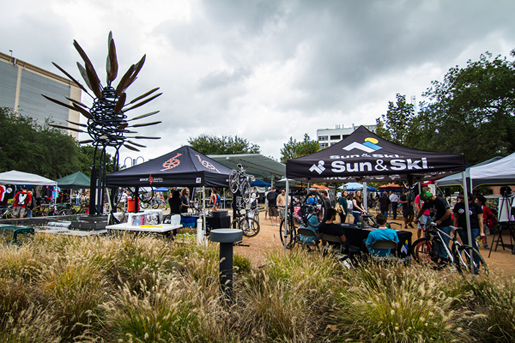 In Collaboration with The Houston Downtown Management District , hosted by Black Gold Cycling, The Byke Project, and Neue Creative, and presented by KARBACH Brewery and Mercedes Benz of Sugar Land, the HTX Bike Fest celebrates is 4th Annual Event on September 17, 2016 at Market Square Park. This all day festival from 10am - 6pm is designed to bring cyclists and bike enthusiasts from all over the city to one place for a day full of bikes, music, food, and fun. The festival will boast an all day swap meet and over 50 different bike industry vendors, artists, and local merchants. This year's festival will include a variety of demos from various bike sports such as bike polo, bmx freestyle, various cycling contests, gold sprint races hosted by Texas Gold Sprint’em and a KIDS Balance Bike race for children 6 and under. In addition to the variety of bike contests and shows, live music will come to the festival from local bands SIK MULE and Handsomebeast, as well as 15+ DJs on two different stages. 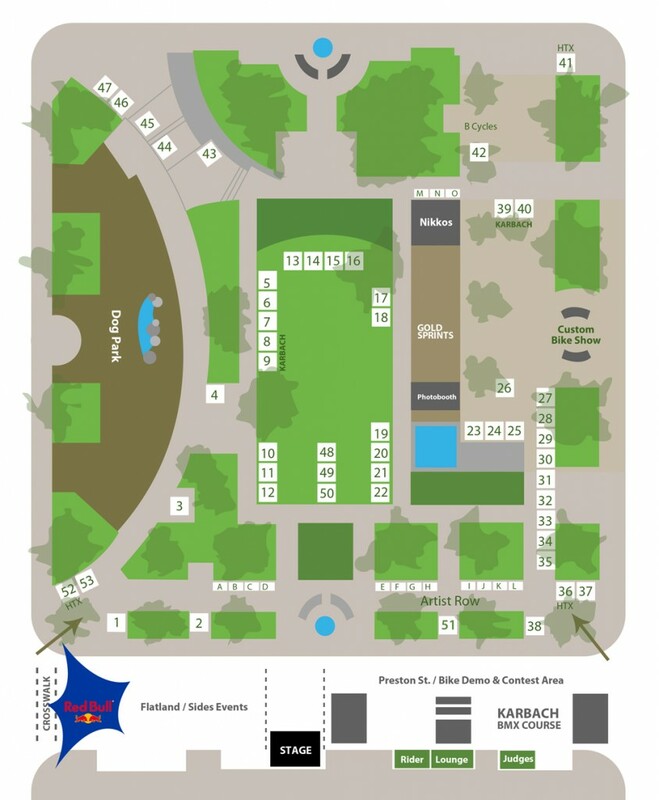 THE MAP BELOW SHOWS THE VENUE LAYOUT FOR 2014. THIS YEAR'S LAYOUT WILL BE SIMILAR MINUS SEVERAL CHANGES IN THE STREET COURSE. - Live Music from 3 local Houston bands. TBA. - BMX and Flatland contests / demos. Admission is FREE and we're asking for a minimum $5 donation to benefit Bike Houston.